By: Neil Fjellestad and Chris De Marco FBS Property ManagementRENT Q. I have an apartment community that is “pet friendly”. My problem is this. The pet owners on the 2nd floor are letting their dog urinate and defecate on the balcony. It falls on the neighbor’s patio below. What is the best way to proceed? A. Considering that 60-70% of renters have pets we understand the decision to be “pet friendly”. However, this marketing decision requires strict enforcement of lease and pet addendum policies that ensure quality living for all residents. First, review your existing documents then write a letter asking your residents on the second floor to conform to what the documentation requires of pet owners. Make specific references if your lease spells it out and include a copy of those references. If the language is more general and/or vague you will still be specific in your enforcement. Let there be no mistake, this pet is infringing on the lifestyle of the resident below and that cannot nor should not be allowed to continue. Furthermore, if this should happen again the pet can be removed from the property. As a policy consideration going forward you might restrict pets to the first floor only or designate certain apartments, floors and/or buildings as “pet-friendly”. Let’s get back to your residents on the second floor. If they don’t want to or can’t comply they will need to look for a new home. If their situation can be resolved by transferring within the community to a first floor apartment this might be another option depending on your availability and length of their residency. The cost should be their responsibility and could be a less expensive option than moving to a new community. We’re pet lovers and respect others that are not. 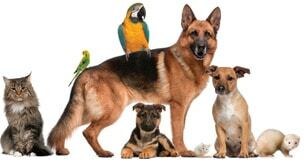 In an apartment community and in a neighborhood responsible pet ownership is the absolute standard if a “pet-friendly” policy is to be maintained while respecting the rights of others. “Rent Sense” is an informative article for Rental Owners or those looking to become investment property owners. This insight is brought to you courtesy of Neil Fjellestad and Chris De Marco, President and Vice President of FBS Property Management in San Diego, CA. The goal of “Rent Sense” is to educate existing and perspective property investors on the Property Management field, the ever changing Real Estate regulations as well as the technology advances being made by our company and other industry leaders. We have been in business for over 40 years, cover 65 zip codes, over 700 single family homes and over 1,200 clients thus providing us with a variety of topics to discuss. Neil, Chris and the rest of the FBS team is available at 619-286-7600 or www.fbs-pm.com.